mad orange fools: My new favorite hat! 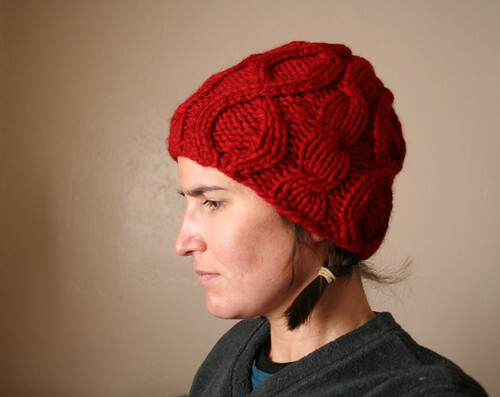 I love chunky yarn and I love cable stitches so when I saw this hat at Tutto last Saturday, I fell in love. Lucky for me, the pattern is free on Ravelry and I found the same yarn online. (I would have bought it at the store, but they did not have the red and I had to have the red.) I took a break from knitting holiday gifts and whipped this up while watching the Jets vs. Titans game this morning. Yea!